To get an activation code(s) for your coin(s), please enter the information into the fields provided. The web page will display your code(s) and will also email you a copy. Make sure our emails are not going to your spam folder. If the email is in your spam folder, select the email and mark as not spam. Welcome Geocacher! 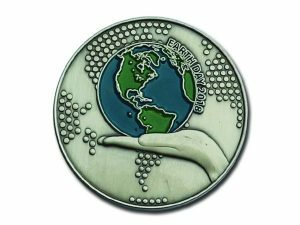 Featured Geocoin of the week only $9.99.